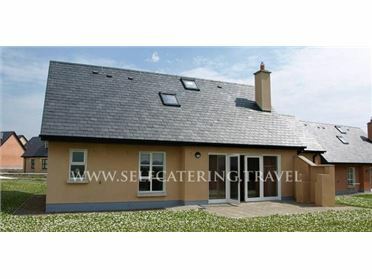 Stunning 5 star property with uninterrupted sea views of Carlingford Lough and the Mountains of Mourne. We are in the village yet on a quiet country road. Oysterhaven has 4 spacious bedrooms, 3 bathrooms. Sea views from all the windows upstairs and down. The Bedrooms are located downstairs and the living and kitchen area is upstairs. The house is decorated to an exceptionally high standard. Situated 1 hour from Dublin and Belfast. Voted European destination 2012. A private house beautifully decorated, comfortable, spacious, 250 sq. mts less than 5 minutes walk to center of the village. Carlingford is situated within the idyllic Cooley Peninsula, 1 hour drive from Dublin and Belfast. A secret hidden gem, the village is steeped in historical heritage. It's village also boasts a variety of fine restaurants, pubs, cafes and boutiques. Carlingford Adventure centre is located in the centre of the village and offers a wide range of outdoor activities. Carlingford Lough offers dramatic views of the Cooley Mountains.The Activity centre includes, Sailing, rock climbing, kayaking, etc. Experience mountain walking with spectacular views. Something for everyone!